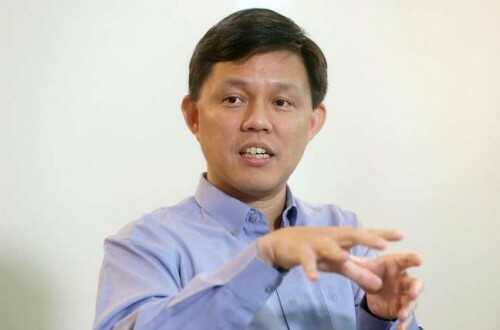 SINGAPORE - Younger professionals, managers and executives (PMEs) should move out of their comfort zone and experience life in another country, labour chief Chan Chun Sing said at a leadership conference on Friday. It may not be as comfortable as Singapore and the pay may not even be as high, but what it does for them is that it accumulates experience. Mr Chan said companies which set up headquarters in Singapore look for people who know the regional market in Southeast Asia and can connect with the international market as well. "They need teams of people who have the global and regional perspective. They don't care whether it's a Singaporean or non-Singaporean, that's the blunt truth, they only care about whether their team has the global perspective," noted Mr Chan, secretary-general of the National Trades Union Congress (NTUC). To compete for positions in top management here, Singaporeans will need not just the right attitude, skills and knowledge but also experience and exposure, he said, addressing some 700 PMEs at the NTUC Centre. They will have to match up to foreigners who come to Singapore already having experience from their home country. To this end, NTUC is in talks with chief executives of large companies to work out opportunities and partnerships to help young PMEs get access to opportunities overseas, said Mr Chan. But younger PMEs must also rise to the challenge of working abroad. "Life is not going to be as easy as having Orchard Road next door, another mall next door, and the pay may not even be as high, but what it does is it accumulates experience," he said. He encouraged the audience to add value to their experiences by trying other places besides common ones such as New York City and London, where many have gone before. Mr Chan, who is also Minister in the Prime Minister's Office, said he lived in Indonesia for two years and tried to visit at least one different province each month, but still would not claim to understand the market. "If we are only living in our own well then we won't have that diversity and if we don't have that diversity, we won't have resilience, we won't be able to cross-pollinate ideas from different societies to enrich our own."